Steve was born and raised on 80 acres right on highway 39 midway between Tabler and the Dibble "y" - just inside the Grady County Line of the great state of Oklahoma. You gussed it - a real red-clay okie. Steve always wanted to be a song writer, but the practical side of surviving the Oklahoma red-hill economy and weather kept Steve busy and his dream would have to wait. Finally, after years of "doing the right things" with school, work, and family, Steve got a break. 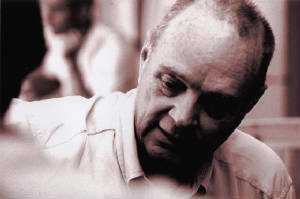 In 1998, Steve founded Rock-A-Bye Records in Casa Grande, Arizona. The idea was to record his music and let the public make a decision - good or bad. As soon as the word got out about a record label in Casa Grande, Arizona, the musicians poured in. After years of producing, editing, promoting, and distributing other folks music, Steve got his chance. 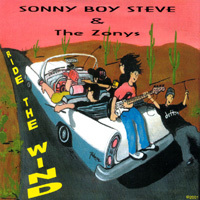 Steve's first cd "Ride The Wind" is of an Americana/Rock/Blues/Country flavor. 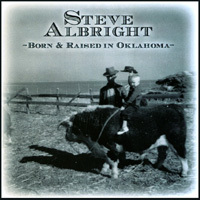 With "Born And Raised In Oklahoma" Steve got the chance to be pure country. This cd will make your day - don't pass it up. What A Deal for so little money. Enjoy.